Warnings has received a favorable review from the Jacksonville, Fla., newspaper. Kari Kyle and her staff at the Green Bean Coffee Shop in Greensburg were great hosts for the book signing yesterday evening. Greensburg is transforming itself into a gem of a town and I'll post some photos later today or tomorrow. Earlier today, I took these photos in Summerfield, Kansas (background) which is on the Nebraska border. After a week of favorable weather, the wheat harvest is making fast progress. Closeup of combine on a warm, dry day -- perfect cutting weather. As with tornadoes, it is not my intention to routinely blog about tropical storms and hurricanes. My colleagues at AccuWeather have a terrific web resource for tropical storms here. That said, folks in Texas should start paying attention to Tropical Storm Alex. Kim and I will be in Greensburg for a book sale and signing Tuesday evening. It will take place at the Green Bean Coffee Shop from 6 until 7:30pm. Hope to see you there! Monday, I offered some thoughts on what seems to be the poor response by the federal government with regard to the Gulf oil spill. Here are is an article that will have you scratching your head in bewilderment. My take: There are far too many U.S. agencies that are too worried about their bureaucratic perquisites to meld into an effective team with a genuine sense of urgency. We need to bring every resource to bear to mitigate this problem. 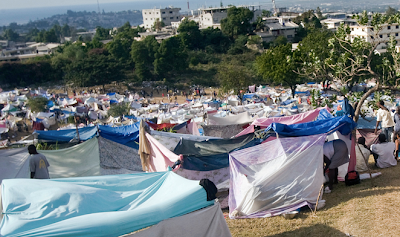 At yesterday's American Meteorological Society luncheon in Miami, Bill Reed, the director of the National Hurricane Center, explained to us that more than 1,000,000 in Haiti living in tents. Some of these are in valleys that are flood-prone. Should a hurricane, with its damaging winds and flash flood-producing rains occur this season, the lost of life could be higher than the earthquake's estimated 250,000. "They Can See That He's Just a Fool..."
It is sad to see how 'global warming science' has lead so many people to so many wrong impressions and foolish statements. For those who have seen my global warming presentation, I discuss the high-level of uncertainty associated with climate models. If we can't forecast weather in a consistently accurate manner ten days in the future, there is no basis to believe we can do so ten years in the future. For those who would like to learn a little more about model uncertainty, go to this lightly technical article. The quote below sums things up nicely. But for all that was controverted, the basic physical uncertainties were not disputed. It turns out that uncertainties in the energetic responses of Earth climate systems are more than 10 times larger than the entire energetic effect of increased CO2.15 If the uncertainty is larger than the effect, the effect itself becomes moot. If the effect itself is debatable, then what is the IPCC talking about? And from where comes the certainty of a large CO2 impact on climate? Higher Education, the Next Bubble? I vote yes. So does Professor Glenn Reynolds. UPDATE: A great article about the harvest from The Wichita Eagle. Kansas wheat ready for the 2010 harvest. Just when you think things can't sink any lower, the National Academy of Sciences has now published a list compiled by a non-academic weblogger that attempts to rank scientists by expertise, credibility and (oh!) belief in the consensus position on global warming. I am flummoxed that the U.S. National Academy of Science (should it change its name to National Academy of Propaganda?) would stoop so low to publish this garbage. UPDATE: Dr. Roy Spencer calls it an inquisition. 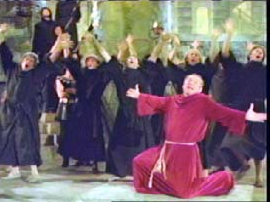 With that in mind, I offer a photo of Mel Brooks in his classic "The Inquisition" number in The History of the World Part I. Perhaps, if he ever makes History of the World Part II, Mel will take on climate 'science.' I hereby volunteer my services to help writing the script. After all, this type of 'science' is a joke. 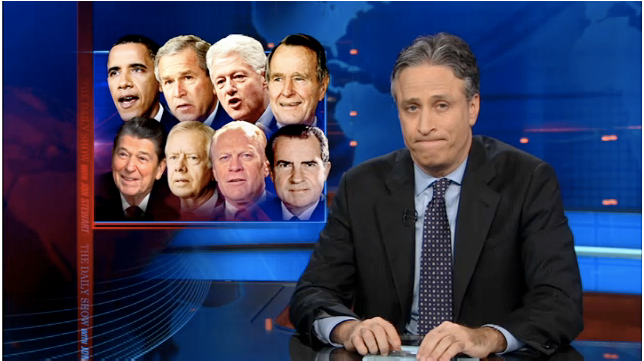 John Stewart's montage of the last eight Presidents promising to get the U.S. off foreign oil is hilarious. He expresses (like so many others) shock that we have not been able to achieve that goal. Let me offer a non-political thought: Maybe it is difficult to get off oil because fossil fuels are the best source of energy for mobile use. Yes, we could greatly improve gas mileage (using less foreign oil) by switching to diesel. Modern diesel engines are clean and can nearly double the mileage over gasoline (bet you didn't know that). But, diesel has a "bad name" in the U.S.
Or, we could greatly reduce our dependence on foreign oil by switching to natural gas to run our automobiles and trucks. Either of those would pay huge dividends -- but they are still fossil fuels. What about electric cars? Given the present technology, they will play only a small role. Too expensive, range too limited, and too long to recharge (I just read an estimate that a filling station with 20 pumps would need 67 electric charging stations to service the same number of vehicles and the charging process will take twenty minutes!). Will electric vehicles improve? Certainly, but not in the next year or two. So, we continue to use gasoline to fuel our vehicles because diesel is politically incorrect, natural gas has never caught on, and electric isn't "ready for prime time." Getting off of gasoline is hard because there is a tremendous investment in gasoline infrastructure (i.e., your local gas station) and because it does the job very well at reasonable cost. 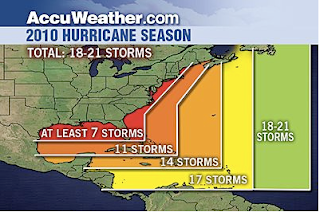 ...AccuWeather's Joe Bastardi has upped his forecast of hurricanes for the 2010 season. The graphic below is the latest forecast. Note the seven storms expected in the area that includes the gushing oil well. And, the longer range computer models indicate that the first tropical storm or hurricane of the season might -- emphasis might -- affect the Gulf sometime next week. UPDATE: A BP-supplied tape describing how the relief well operation is expected work can be viewed here. According to news reports, BP has abandoned any attempts to "cap" the leaking well and is relying on "relief" wells which are scheduled to be completed in August. Here is the latest information pertaining to the relief wells. Now, I would like to offer a sobering thought: The relief wells may not be finished in August and, even if they are, they may not work. Please keep in mind my "day job" is risk mitigation. Since you can't manage risks you don't anticipate, lets think through some scenarios. Lets start with the first problem, a delayed completion of a relief well(s). That's easy: A hurricane or even a tropical storm. These offshore platforms must be evacuated at the slightest risk of a hurricane or tropical storm. It is easy to envision scenarios where the operation runs weeks behind because of actual or threatened severe weather. Other possible sources of delays: Equipment breakdown, unexpected rock formations, continued erosion of the existing underwater infrastructure, lightning strikes the leaking oil causing a fire(s), etc. Conclusion number one: We can't count on the flow of oil stopping in August. Second, even if the relief well is drilled on time, it might not work. Envision there is a hole in Hoover Dam causing a large leak of water and the only way to stop the leak is to set up a platform on the dry side of the dam, one mile away, and then drill a second hole into the dam, bend the pipe once through to the dam's wet side, and snake concrete through the drill pipe, and fill in the hole from the wet side of the dam. Then, you have to successfully fill in the second hole. This is a tricky -- and risky -- procedure. There is a chance you could make the first hole larger or have a leak with the relief hole. So, even if the relief well is completed on time, it might not work. Why am I telling you this? Because at least 95% of the oil in that well (according to engineers' reports I have read) has not leaked out yet. It will keep leaking until the relief well gambit works or the well exhausts itself. This threatens an ecological and economic disaster unseen in the U.S. in our lifetimes. Yet, from reading everything I can about it, we are not doing everything we can to sop up the oil that has leaked so far. Read this article about how there are 1,500 boats that could be on the scene sopping up the oil but are not! People are focused on the mesmerizing sight of the oil pouring out of that pipe on the floor of the Gulf. It does not appear we are focused on what will happen if that oil continues to flow (which it certainly will) at least through August and what will happen if it flows -- literally -- for months after. There will be plenty of time to assess blame and that can come later. Right now, all of our efforts should be focused on mitigating the spill to date and creating and executing a plan for what to do if the oil is leaking 4-5 months, or more, from now. Bethany, Missouri: A Sonic and Russell Stover across the street from each other, next door to a filling station selling gas for $2.45/gallon -- the least we saw on our trip! 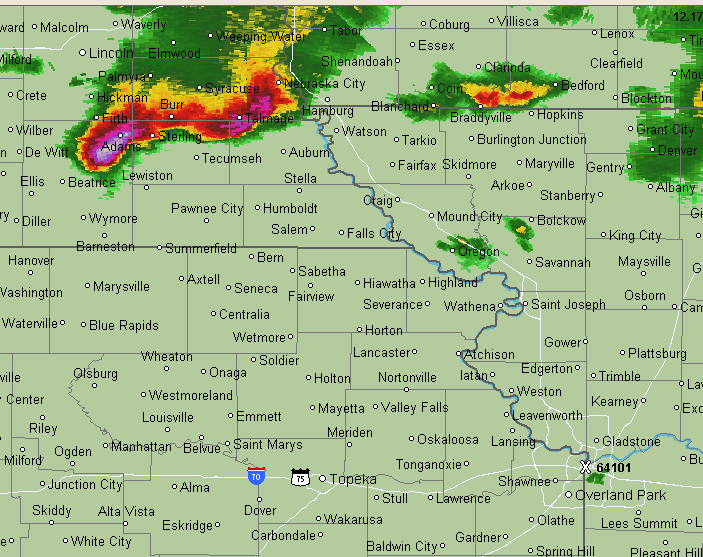 This cluster of storms is moving southeast through the Missouri Valley area. The white echo is very large hail. Please pay attention to the weather if you live in these areas. Caution, it does not have a happy ending. But, it is what fathers are all about. Story here. I heard the most extraordinary program on "Siriusly Sinatra" yesterday. Recorded 45 years ago this week in St. Louis, Johnny Carson hosted a benefit performance by Frank Sinatra, Dean Martin and Sammy Davis, Jr. The quality of the recording and the performances are terrific. It will be repeated at 8pm Central tonight. More information here. So, here are a few photos that I enjoyed taking. Blogging will be light today. UPDATE 9:30pm... Here come the damaging winds. 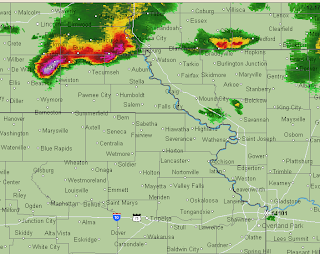 The band of storms approaching Manhattan, KS has winds gusting to 70 mph with 80 mph winds near Tuttle Creek Res. 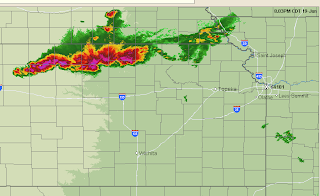 They will move southeast toward Topeka, Lawrence, and Kansas City. This is the last update for the night. 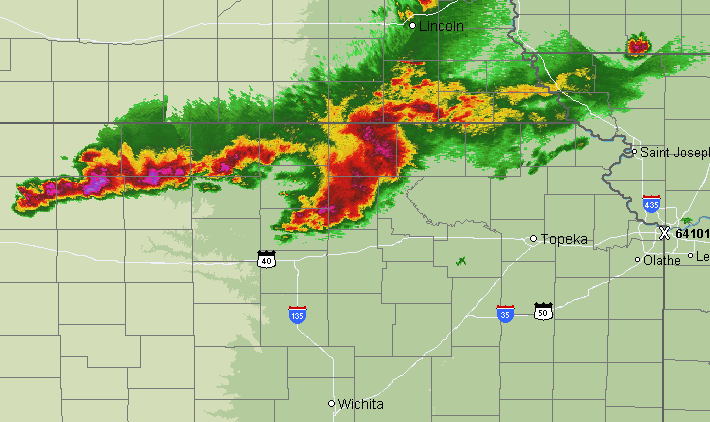 An area of thunderstorms in northern Kansas has produced a couple of tornadoes, torrential rains and very large hail. The line of storms may begin moving SE during the night and produce very strong winds in northeast Kansas. Severe thunderstorm watches, with damaging winds a possibility, are already in effect in Illinois, Missouri and far eastern Kansas. 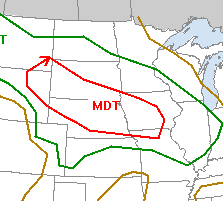 In addition, a second round of violent thunderstorms may develop farther west in Kansas and in Nebraska later today. Here is the problem: The situation is conducive to widespread damaging winds, similar to what occurred yesterday (blue symbols denote damaging winds). Currently, 168,000 homes and businesses are still without power in Chicago alone. Most of the contract electrical crews are already committed to repairing yesterday's damage. So, if widespread wind damage should occur with the next round of storms, it will take longer than usual to repair the damage and restore power. Make sure you have fresh batteries for flashlights, etc. This is a difficult forecast situation: There is a "cap" over the atmosphere in parts of Kansas and Nebraska and there is a chance thunderstorms will not develop at all. But, if they do, they will be violent. Better to be prepared. 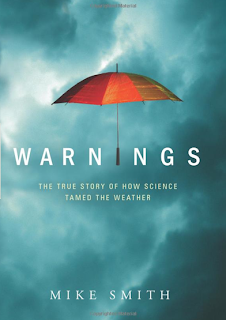 Warnings is now available at the gift shop of the Great Plains Nature Center. -- Distinguished Professor of Atmospheric Science, John R. Christy, University of Alabama, Huntsville, Montreal, June 15. 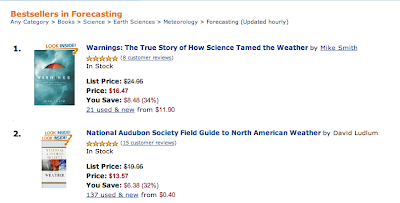 For most of the time since April, Warnings has been the number one book in the "Forecasting" category at Amazon. I am deeply humbled and appreciative of all of the great reviews and support. Thank you! There is a tornado warning in effect for eastern Madison Co., Iowa, home of the famous bridges and of the birthplace of John Wayne, where I was yesterday (see below). 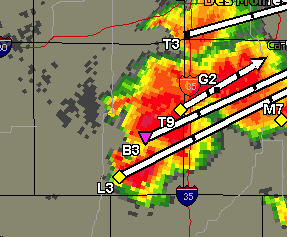 The tornado located near the inverted purple triangle and Winterset is where U.S. 169 (thin gray north-south line) just northwest of the tornado. "A Man's Gotta Visit Where a Man's Gotta Visit"
Winterset is an attractive town in the middle of Madison County (of "Bridges" fame). Chicago Tonight? Think Twice About It! All flights bound for O'Hare are grounded until at least 4:45pm Central and likely longer than that. 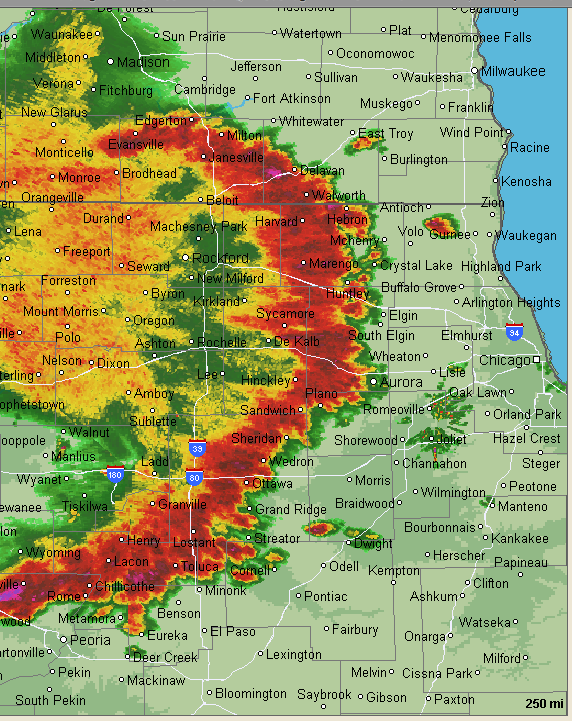 A tremendous line of thunderstorms with winds of 80+mph is just west of O'Hare and will sweep through all of Chicagoland. Midway will have problems, as well. The FAA is predicting average delays of 1.5 hours. However, I don't think they are giving enough weight to the lightning that will following the winds for at least another hour. Ramp people cannot work with lightning in the area. 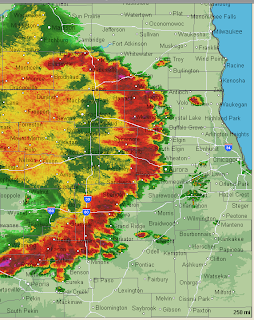 So, if you can route yourself around O'Hare, tonight would be a good time to do so. 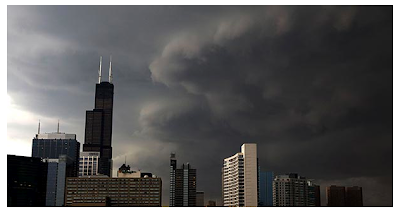 UPDATE: 6:49PM: Chicago Tribune has this photo of the storm (with 77 mph winds) approaching downtown. The Willis Tower (formerly Sears Tower, tallest building in U.S.) had windows blown out. More than 300,000 homes and businesses are without power in Chicago. "The Sirens Went Off 36 Minutes Before the Tornado Arrived"
Yesterday, the state of Minnesota suffered the worst tornado outbreak in its history. 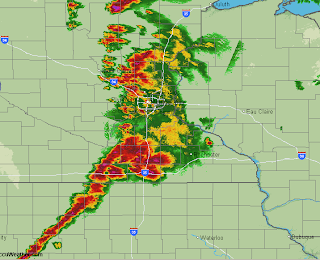 Sixty-two twisters were reported in Iowa, Minnesota, and eastern North Dakota with the worst of the storms in Minnesota. Damage is reported all over the state. More here. While a number of towns are in ruins, the death toll was three. While tragic, that number is amazingly low. Prior to the warning system, a single tornado in Minnesota killed 72! The warning system continues to have amazing results, month in and month out. UPDATE: Spectacular photography of the tornadoes here. There are great examples of the "green sky." One of the most shocking passages in Warnings is the story of the Katrina rescuers being sent to Atlanta to take a mandatory sexual harassment course rather than to New Orleans to rescue the people dying the in the post-Katrina floods. I was reminded of this when I read the story this morning about the barges being shut down by the Coast Guard. The Coast Guard needed to confirm that there were fire extinguishers and life vests on board, and then it had trouble contacting the people who built the barges. I am OK with them checking each boat to make sure it has the proper safety equipment. We don't want anyone hurt while they deal with the flammable oil. But, that takes ten minutes per boat. There was no reason to shut down the entire fleet and there was no reason to contact the people who built the barges. Either each boat had the proper equipment or did not. The federal bureaucracy is out of control. It, too often, is an unaccountable menace. 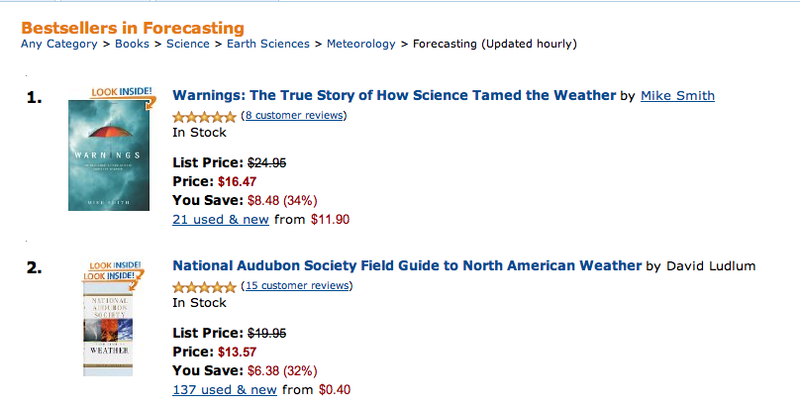 People ask me all the time, as recently as last week, why I don't write more about 'global warming.' It is because I dislike the topic. There is so much bad science involved with global warming and I prefer to write positive things about good science (such as Warnings). However, the question of whether to raise climate change in discussions of flash floods (and other extreme events) constitutes more than a quibble over semantics. The media has a responsibility to report what the science says, even in the context of a breaking news story, such as a flood event or heat wave. The science has become clearer, although by no means certain, that local precipitation extremes may be connected to climate change. The author, Andrew Freedman, wants us to believe that last week's flash floods in Arkansas were caused by 'global warming.' 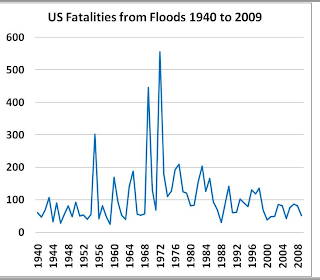 As Dr. Roger Pielke pointed out in his response to Mr. Freedman's piece, flash flood deaths are going down in spite of increasing population. Courtesy: NOAA via Dr. Roger Pielke, Jr. The deaths needn't have occurred last week: There was timely warning and a siren at the campground would have allowed an orderly evacuation. The deaths made so much news because they are now so rare! It is not just Texas; it is global. The rising temperatures that have afflicted the state are only part of a larger problem. The professor goes on to talk about the problems associated with the alleged temperature rise. 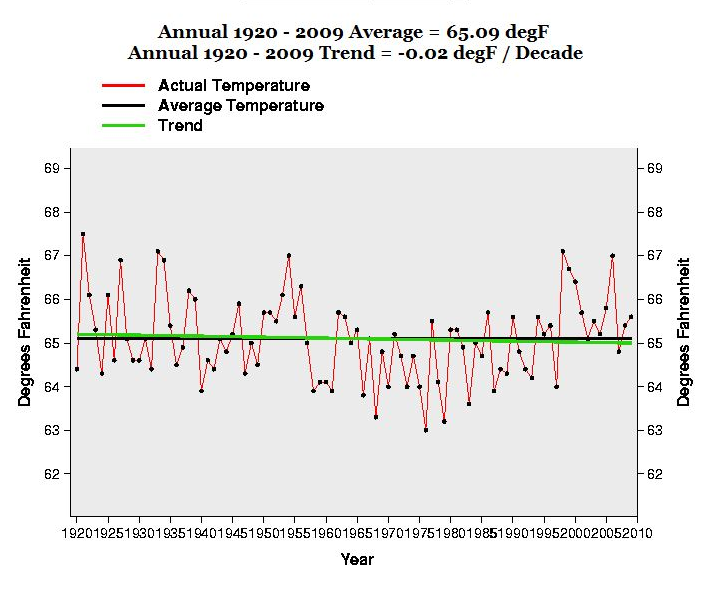 Only one problem, temperatures are not rising in Texas as the graph below indicates. This hits home for me because we have the same thing in my home state of Kansas: University researchers confidently stating "temperatures are rising" in Kansas when the data shows no such thing. So, when your local newspaper carries yet another story about the apocalyptic effects of global warming, take it with a grain of salt. 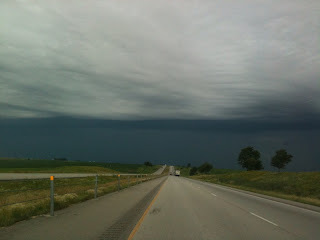 Mike is traveling in Iowa and shot this photo east of Des Moines on I-80. There is a chance of tornadoes and high winds in Iowa and Minnesota this afternoon and evening. If you live in this area, keep updated with weather information. 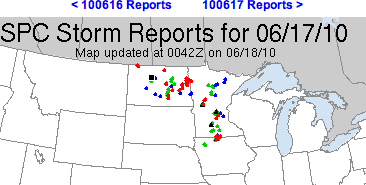 The red symbols are the locations of tornado touchdowns. At two have been killed by the storms. "Before they go out camping to always check our forecasts from the national weather service," Lawrence said. 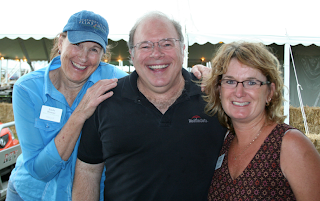 He also said you should pack a NOAA weather radio if you want to stay informed on your trip." Numerous news stories in the wake of the Arkansas flood tragedy last week have advised people to obtain and carry NOAA Weather Radios. Examples here, here, and here. Only one problem: The weather radio channel that served the campground was out of service that night and a radio wouldn't have gone off. Details here. This isn't the first time this has happened. In November, 2005, a tornado struck Evansville, IN at 1:50 am. Immediately, the "buy a weather radio" news stories began. But, in that case, like the Arkansas floods, the weather radios didn't go off. Twenty-five people died. In both the Arkansas flash floods and the Evansville tornado, the local NWS issued timely, outstanding warnings that could have saved lives. But, the NWS technology to wake people up failed. This is why I continue to be a fan of sirens and a fan of the emerging technology of putting warnings into GPS-equipped cell phones. Modern technology for both sirens and cell phones will solve the "overwarning" problem associated with the weather radios (i.e., the radio waking you up even when you are outside of the threat area). It is fine with me if people want a weather radio. For the low cost, it is probably a good investment. But, it is dangerous to depend, solely, on weather radios -- especially in remote areas. The system is not very robust. A mix of technologies is more fail safe. UPDATE: Commenter Bill makes an excellent point. NOAA weather radio operates on five frequencies. If you are traveling, you have to tune the radio to the appropriate frequency in order to get a warning. As I say above, it is not a robust system because there are too many points of failure. Thanks, Bill. 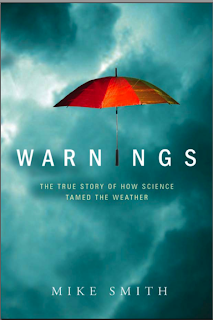 To make it easy, we have posted links Warnings at all the major booksellers here. Just scroll down after the reviews. "A $1 a Day to Cool the Earth"
That headline is all over the internet tonight. 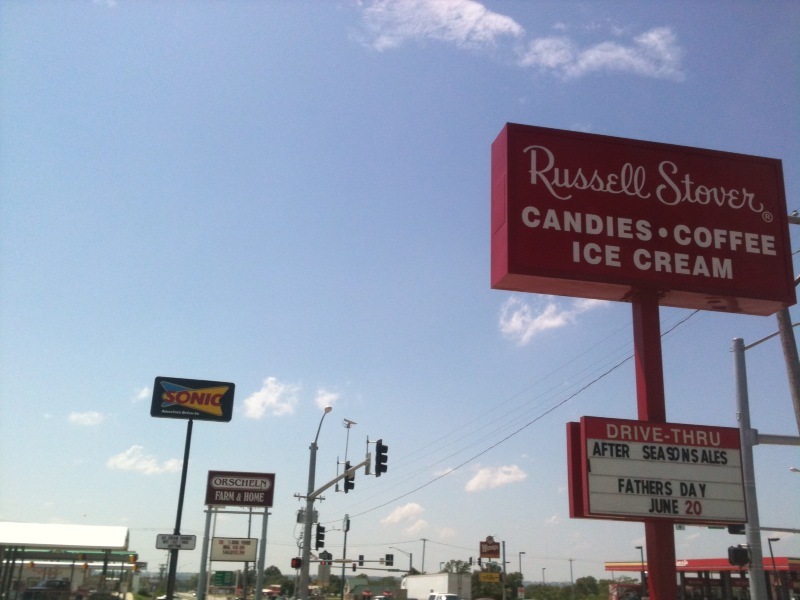 For example, here and here, along with numerous other locations. China and other nations are building new fossil fuel power plants that will emit greenhouse gasses at a far faster rate than the U.S.'s greenhouse gasses will decrease. So, even if global warming proponents' theory that CO2 is the driving force in climate is correct (a dubious proposition*), since the net concentration of greenhouse gasses will continue to rise the earth will not cool as a result of their bill if it becomes law. More importantly, solar and terrestrial conditions point toward cooling -- perhaps significant cooling -- over the next five years even if we do nothing. The very low level of sunspots, the very long solar cycle, the Pacific Decadal Oscillation entering its cold phase and El Nino flipping to La Nina all indicate we are in for major cooling. 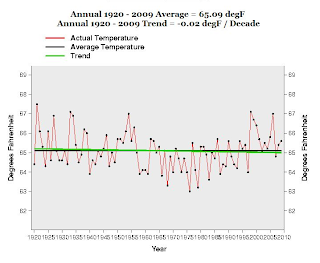 As I have said and written a number of times, if, by 2013-2015, significant cooling has not occurred, then the global warming advocates are correct and we need to take major corrective action. But there is no reason it has to be done now. Both ocean heat content and atmospheric temperatures have been flat the last ten years. * I want to state my position again: Yes, adding CO2 traps more long wave radiation, meaning warmer weather (especially at night) other factors equal. However, other factors are not equal and it is not clear whether the CO2 concentration affects temperature in a linear (a serious problem) or logarithmic (a minor problem) fashion. To me, the main reason to move to other energy sources is that we are running an experiment by cranking up CO2 levels that might have negative effects beyond temperature. So, more nuclear, more natural gas (cleaner than coal), more solar all make sense on their own merits. But, there is no current emergency that justifies draconian action. Beautiful day for the drive from Wichita to the Quad Cities where I will be doing some training tomorrow at WQAD TV and they will be interviewing me about Warnings. The interview will likely run on tomorrow evening's newscasts. While consensus has nothing to do with science (science is about what can be proven), it is gratifying to see independent confirmation -- from one of the leading global warming proponents -- that the "consensus" about 'global warming' was phony. I want to introduce you to two of the hardest working people around, Emily Hunter (left), the executive director of Symphony in the Flint Hills and Linda Craighead the site manager of the event. While everyone was having a great time, these two were in constant motion behind the scenes to insure everything went well. From 9 o’clock Saturday morning through 10:45pm, the three of us worked together, along with the meteorologists at WeatherData’s forecast center, to insure the 7,200 people (a complete sell-out) were safe in the remote location. Lightning, hail, high winds, tornadoes and flash floods were all possible the day of the event because of a stationary front right over the site and extremely unstable air to the south. I spent virtually the entire day glued to the computer because of volatility of the weather situation. At 10:30am, when we had the official weather meeting, things looked grim at first glance: There were thunderstorms 9 miles to the southeast and 12 miles northeast of the site and a drizzle was falling. However, given the newly developed tools created by the NOAA Storm Prediction Center, I was able to confidently forecast that the event could be safely held, at least until 9pm, even though things weren’t ideal at decision time. I said the skies would start to clear around 1pm. 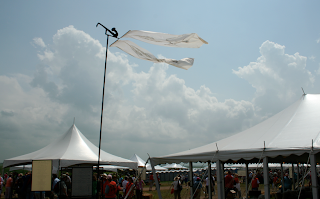 Banners depicting the bluestem tallgrass accented with musical instruments. The first forecast turned out to be excellent. The first patches of blue sky showed themselves at 1:16pm. The second forecast held as well. 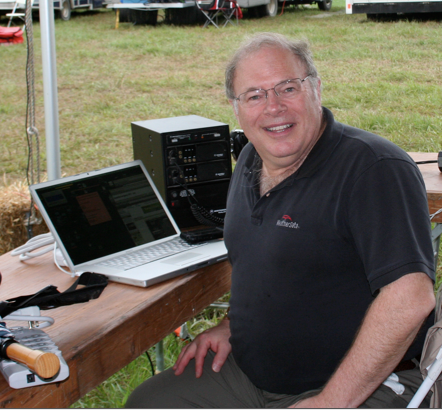 We were able to get through the entire concert in good shape. We were hopeful that we would get through the after-concert activities (music, a dance, etc.) but Mother Nature intervened. Towering cumulus clouds southwest of the site shortly before the concert began indicated the unstable atmosphere that was ripe for thunderstorm development. A small area of thunderstorms with both in-cloud and cloud-to-ground lightning developed south southwest of the site and started moving directly toward it. While conditions had been unfavorable for thunderstorm development prior to sunset, the tools I had indicated that those thunderstorms could be sustained. Given that it would take people, once informed, 45 minutes to walk to their cars (there was no safe shelter at the site, which is selected for its remoteness deep in the Flint Hills) I advised Emily to spread the word that lightning was possible and that people should move to the safety of their cars. The forecast caused the post-concert parties to be shortened. The finale of the concert. Well, Mother Nature surprised me and the storms dissipated before reaching the site. 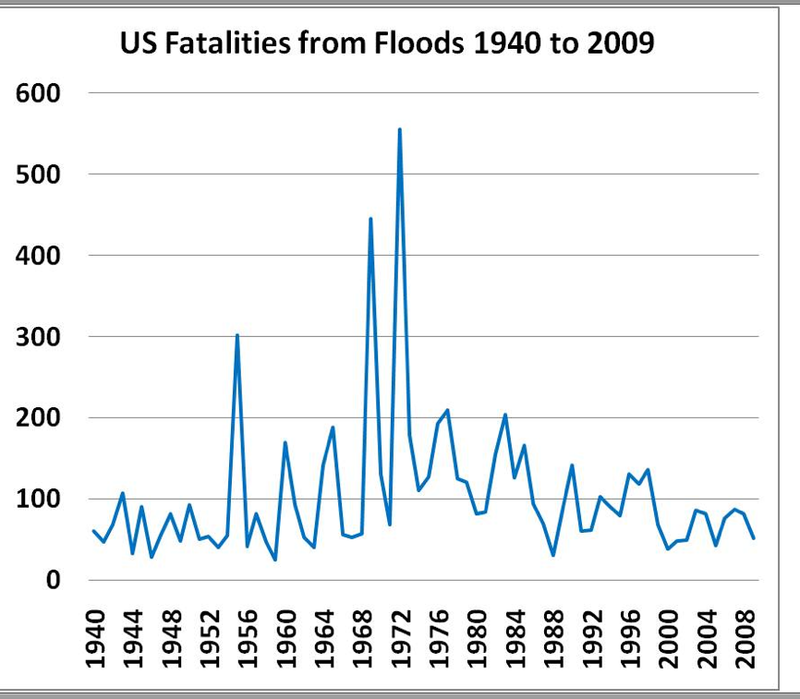 As I write in Warnings, the next challenge for weather science is to cut down on the false alarms. The tools I had indicated conditions were right for thunderstorm intensification (which did indeed occur about an hour later.) Meteorology is doing a very good job getting alerts out before dangerous storms, but our techniques to tell when storms are going to weaken are not as mature. From the people I have spoken with, no one seemed too disappointed. I believe people realize that it is better to err on the side of safety – getting to their cars dry, at a leisurely pace, and safely. 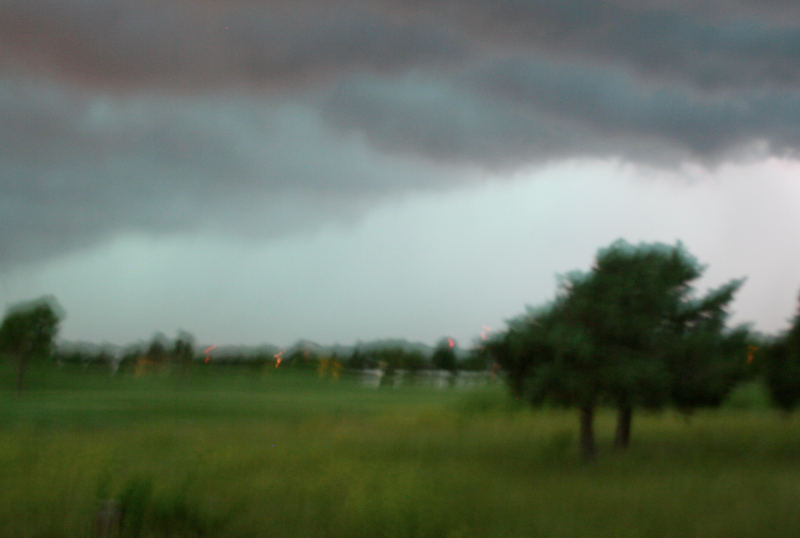 Lightning approaches the Smith House from the west about an hour ago. Most all of Kansas, except the far west counties, are under flood watches or warnings. Our power has gone on and off and Wichita 9-1-1 reports several water rescues. 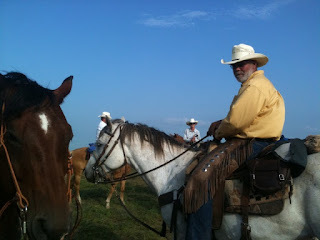 "And the Skies Are Not Cloudy All Day"
Yesterday was the annual Symphony in the Flint Hills and it was simply stunning. As guest artist Lyle Lovett said, "once you have seen the Flint Hills you are changed forever." My teammates at WeatherData were doing the forecasting and storm warnings and I was the on-site meteorologist for the event (the subject of a posting tomorrow). 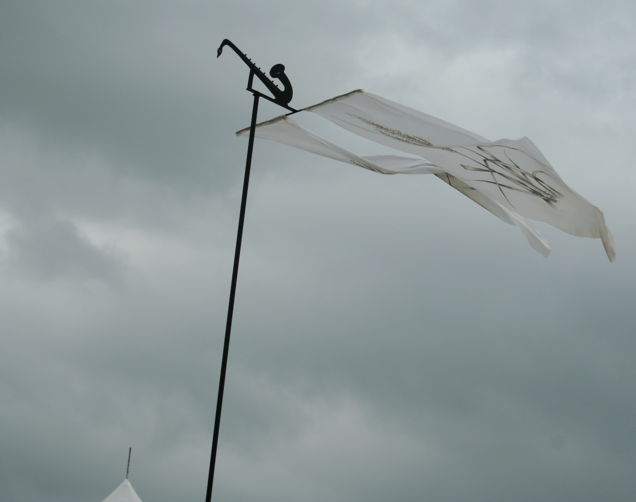 The weather was quite cloudy at the time the gates opened. However, I was confident the sky would not be "cloudy all day." As background, please go to my posting of ten days ago to see the site before the tents and other structures were constructed. 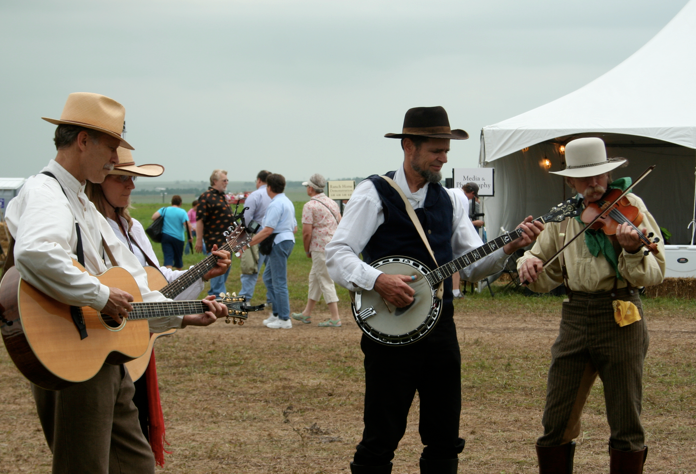 One of the goals of the organizers is to give people the opportunity to get deep into the Flint Hills to see their incredible beauty. Because the weather was quite questionable during the morning, I was extremely busy until I took a quick lunch break. 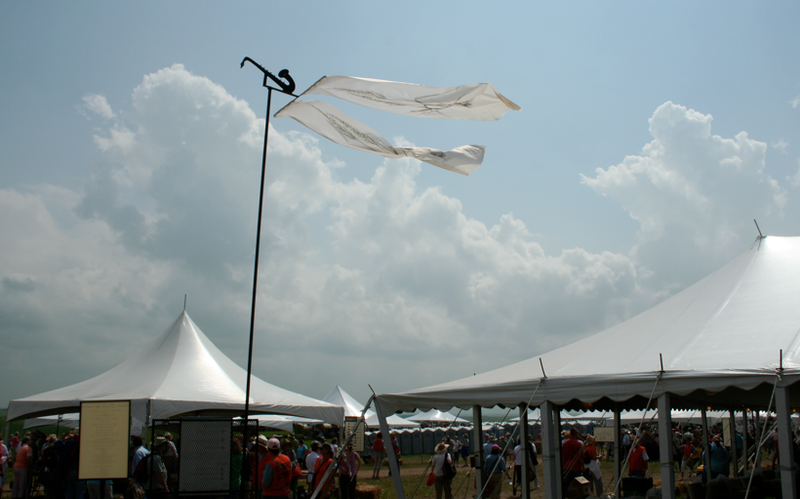 Before you is the view from the food tent before the gates opened. The atmosphere is quite a bit different from most symphonic concerts. The Kansas City Symphony and Lyle Lovett performed an exquisite program of music appropriate to both the occasion and location. Click on the photo to enlarge. The closing number was Mr. Lovett leading the crowd in a stirring rendition of the state song of Kansas, "Home on the Range." 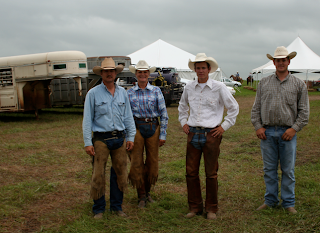 Men were so moved, they put their stetsons over their hearts. The sky was not cloudy all day. People come from all over the United States for this event and I highly recommend it. If you are interested in tickets for 2011, click here to sign up for information (lower right). UPDATE: A friend of mine attended for the first time yesterday and emails me the following: I was completely, totally blown away. It was so beautiful, and the music was so wonderful that I find myself using the word "magical." You Mean Radar Wasn't Always in Color?